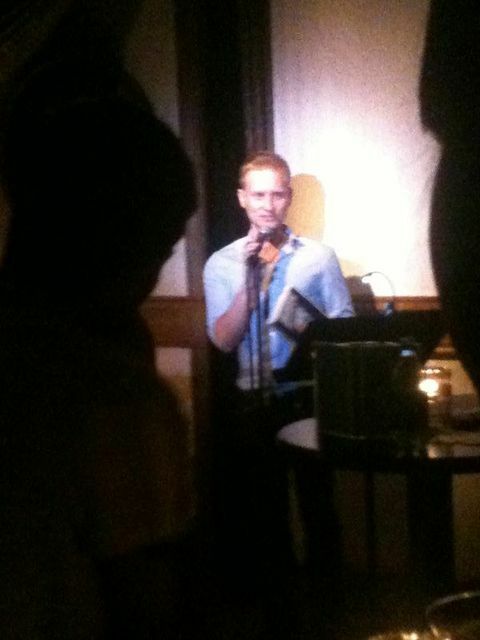 Last month I read a poem at Quiet Lightning. They are a pretty awesome literary organization that puts on tremendous shows. The best part is, if you win their submissions contest, not only do you get to read at their shows, you get published in their books of prose and poetry. 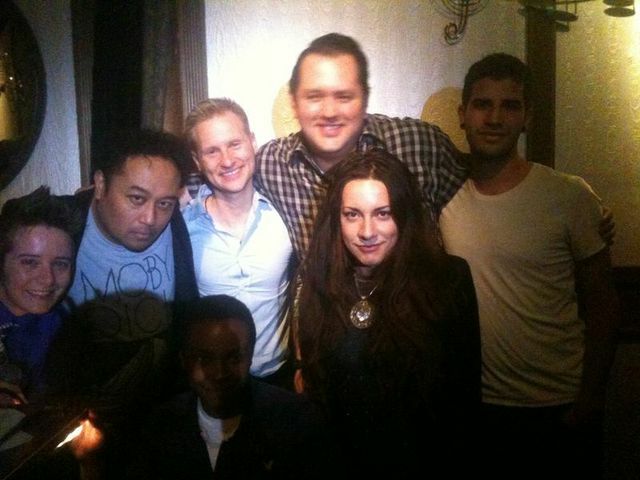 The show was packed, and for some weird reason I was super nervous that night, I have no idea why. Here is a video of me reading my poem Keep Water in Jars. Amanda Palmer, and poetry and Dzhokhar Tsarnaev…and cupcakes. The internet freaked out, as it does, and said, wow, not only is that way “too soon” but it is a terrible poem. 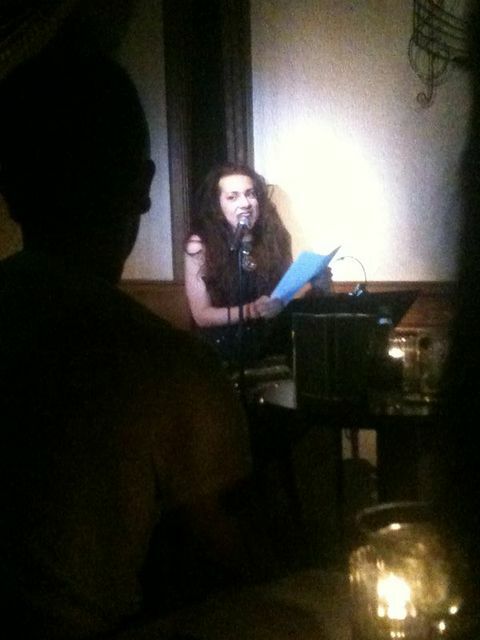 Then she was like, No its not, its a great poem, I’m Amanda Palmer! Then some actual poets spoke up and said actually its “a really really bad poem.” So the incredible Daphne Gottlied(actual poet) decided to bring some of us together and had each take a line from said terrible poem, to write a poem of our own, reacting to either Miss Palmer, the poem, the Boston Tragedy, or what happens when celebrities try to push themselves into a national tragedy. and get your copy of Poems for Amanda! My poem is titled Amanda and Dzhokhar or Bunny World From Drowning. Cupcakes. and I can’t wait for you guys to read it. MY FIRST LOVE POETRY FESTIVAL, DAY 3. 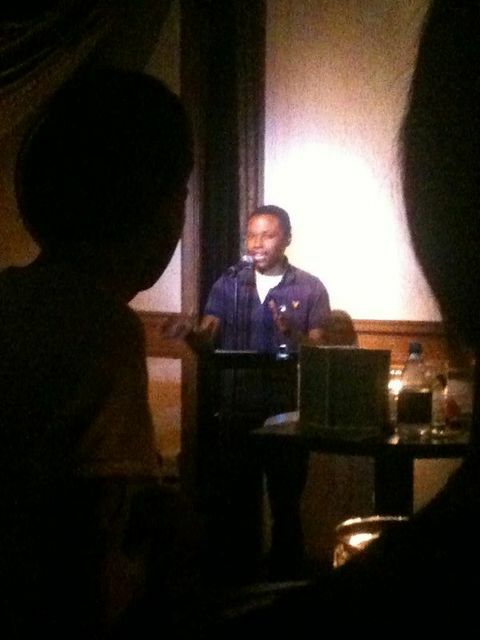 The My First Love Poetry Festival and Open Mic was I gotta say went incredibly well! When James J. Siegel from GuyWriters and I got together to talk about projects we wanted to work on, we never knew that so many people would show up, that so many people were going to enjoy it, and that we’d be able to put together such an incredible line up of writers with almost absolutely no budget. We did three shows, one at Books Inc, I did not know so many people could fit into that little bookstore. The second one at the Gay and Lesbian Center at the San Francisco Public Library, which was also packed. These are pictures from the last show we did at Martuni’s, which was one of the best venues, the staff at the martini bar was so welcoming and so happy that we were there, it was like heaven for organizers. I am super proud of all the shows, all the writers and very thankful for James J. Siegel and the folks from GuyWriters. 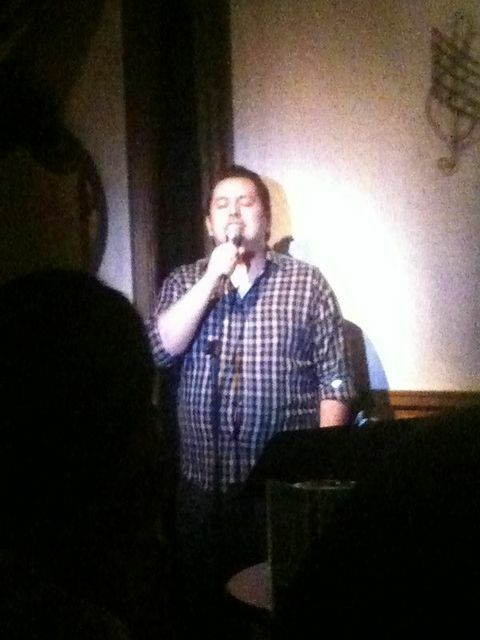 I am also super thankful for Blythe Baldwin from the Queer Open Mic for being at very show and being a huge support. We had people come to all three shows, and a lot of them said comments that were like music to my ears “that was the best poetry show I’ve ever been to.” were a lot of the comments I heard. Here are the pictures from the last show. ENJOY! Maybe we will do it next year. 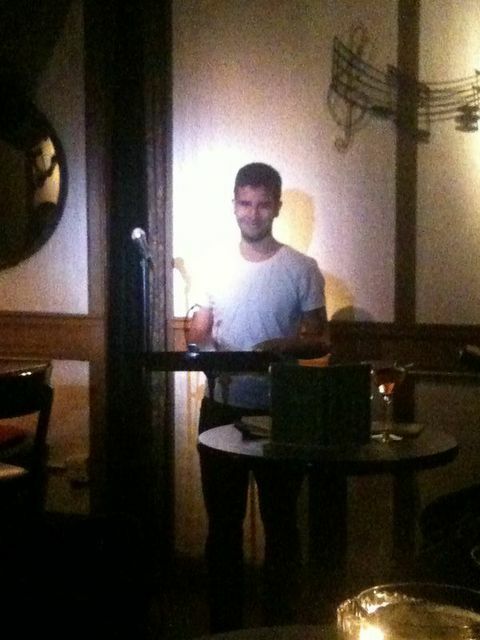 Alex Crumbsnatcher came and signed up on the Open Mic and read an incredibly hilarious piece. 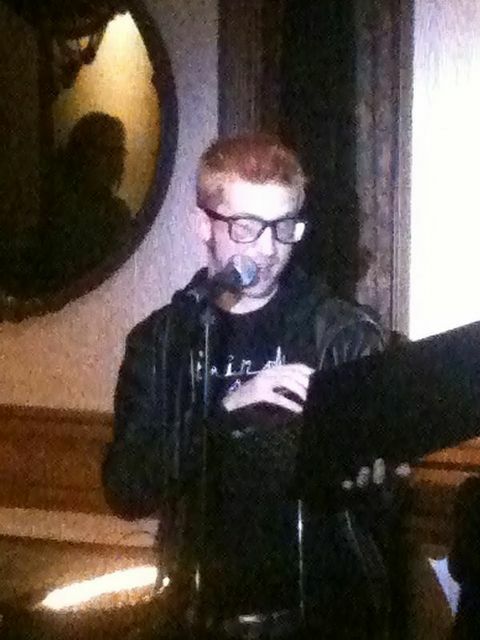 Justin Bagnall also signed up for the Open Mic and read a lovely poem that the audience loved. Sam Sax was one of the featured readers at the Library show, but he is so awesome that he came and read at the Martuni’s show as well. 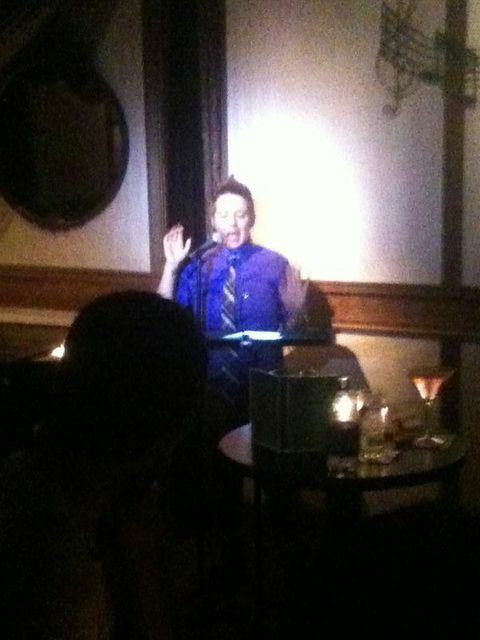 Christ Soto was the first featured reader of the evening. 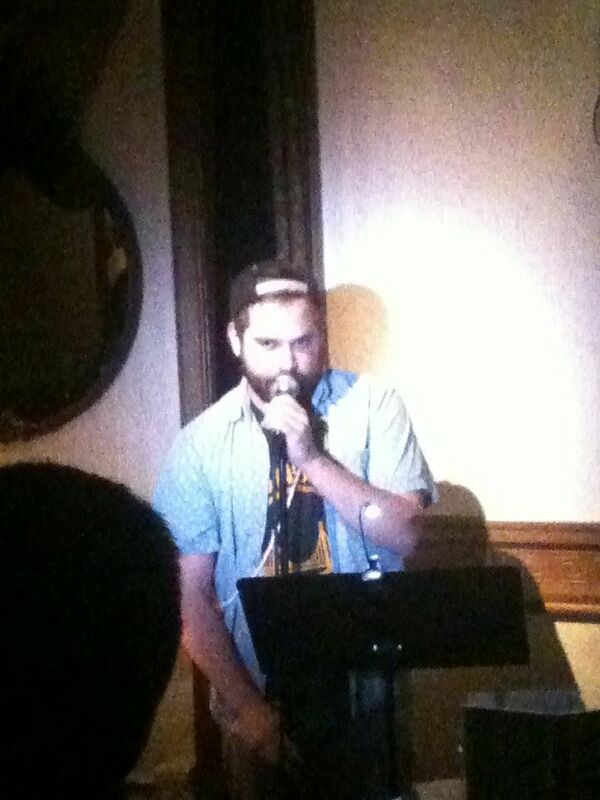 then Cam Awkward Rich graced our little stage. Blythe Baldwin was incredible, the audience LOVED her. Then James J Siegel read, the folks at Martuni’s loved him, especially his poem dedicated to Jerri Blank. then it was my turn, woo. 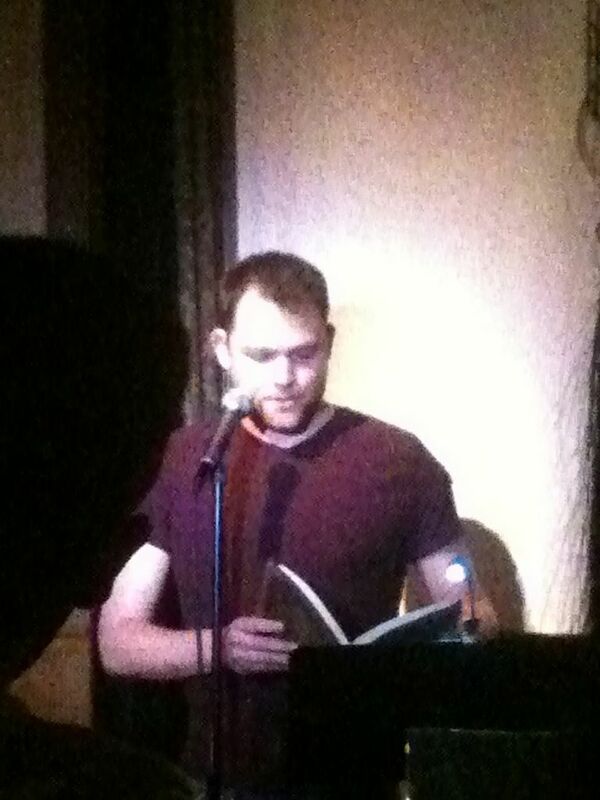 then the incredible Ben McCoy showed us How A Lady Writes a Poem. 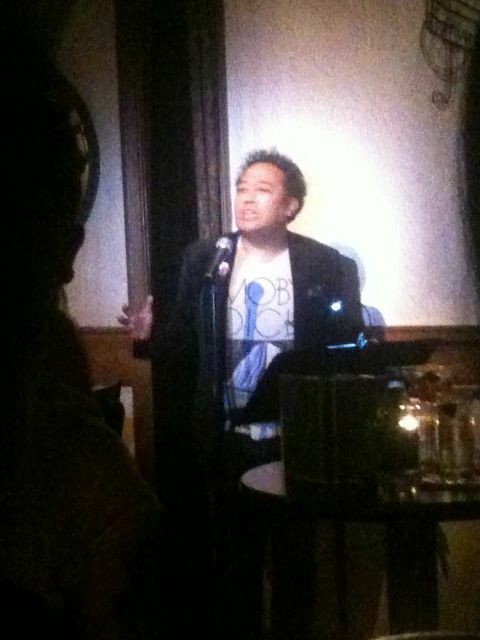 and then last but definitely not least, the Legendary Regie Cabico came and caused some trouble. He was fantastic.